Calgary: What's our colour...drink...animal..car...movie character? 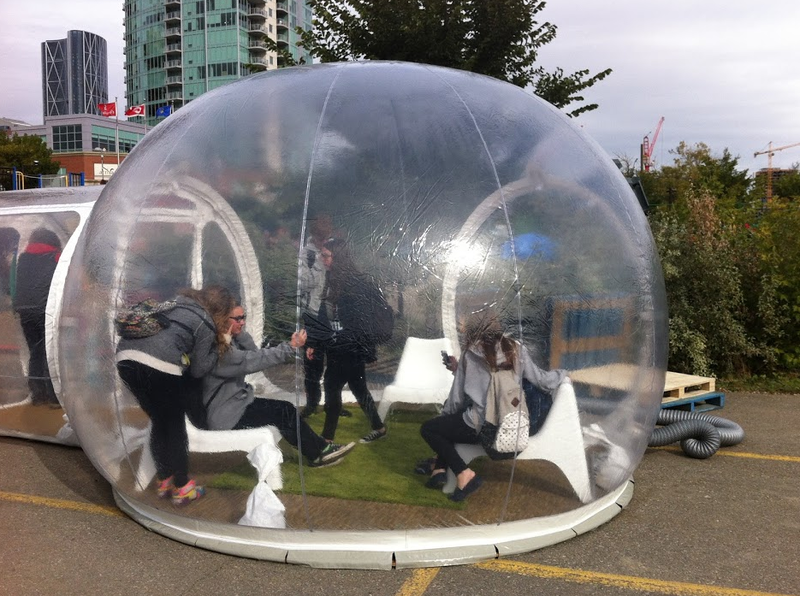 Do Calgarians live in a bubble? 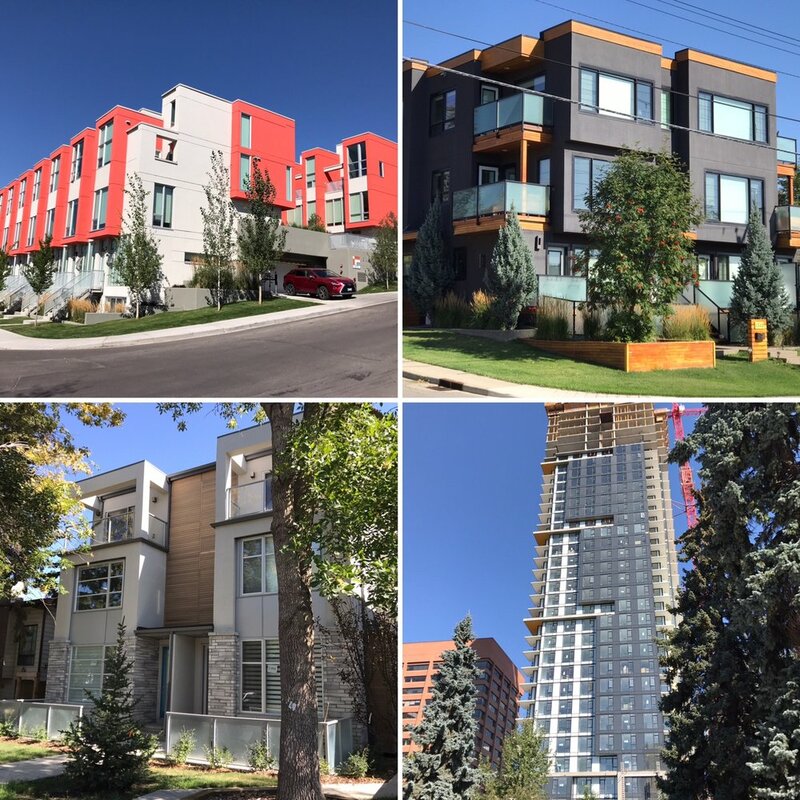 I was intrigued by one of the introductory remarks – “this not going to be about picking a new logo or new moniker, but more an open discussion about Calgary’s identity and unique sense of place.” Interesting. One of the take-away ideas from the facilitator’s introduction was that almost every city around the world is telling the same stories to tourists - how great their festivals are, bragging about their new museums, parks and plazas and boasting about their culinary culture and craft beers. A related key message was - what cities are not doing is understanding and/or communicating what makes them different, unique or special. Note: Something I hope I am trying to do with my blogs from Calgary or other places I visit, I am always looking for something unique. We then were divided into three groups of about 6 people each for some group exercises. Here are two that I found both interesting and strange at the same time. Calgarians young and old love to play "dress up." Answer this question: What would the world miss if Calgary didn’t exist? Yikes…my immediate thought was “nothing.” In fact I would hazard a guess 80% of the world probably doesn’t even know Calgary exists and if they do, they know very little about us. An obvious answer is “energy” but in reality that doesn’t come from Calgary. Then there is the Stampede, but not sure the world would really miss it if it didn’t happen, anymore than the world would miss Carnival, Marda Gras or Oktoberfest. I don’t think the world would miss our museums, public art, restaurants, shopping or fishing on the Bow River either. Our group didn’t come up with anything and neither did the other groups. I am not sure how productive this question was. Love to hear from readers if there is something they can think of. We love our public art? Calgary: Where deals are done on a handshake! 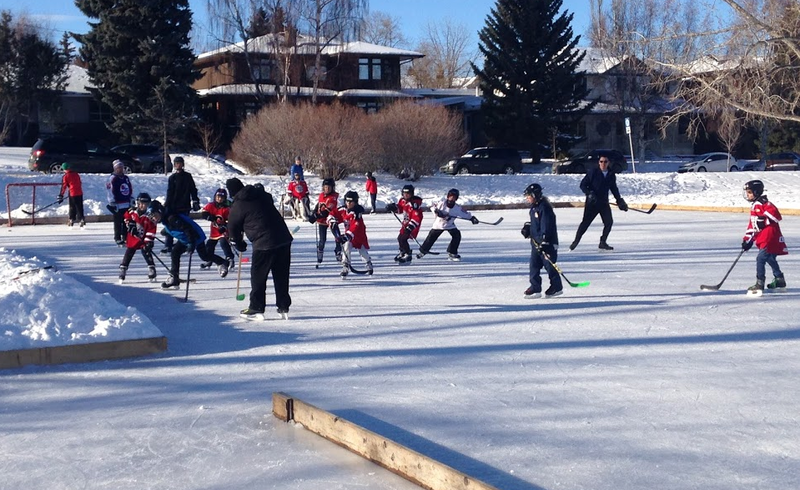 Calgary is made up of 200+ communities each with its own community centre, park, playground and most have an outdoor community hockey rink. Calgary has some amazing festivals, but would the world miss any of them if they didn't happen? What _________ (fill in the blank with the following words - colour, drink, animal, car, movie character) would best describe your city? Again, interesting but wondered what possible insights this might reveal. The second “blue” group picked Twilight Blue, pointing out that as the sun sets in Calgary, the light becomes quite magical. Ah yes, I miss those golden sunsets on Bankers Hall that we used to have before the rise of Eighth Avenue Place. 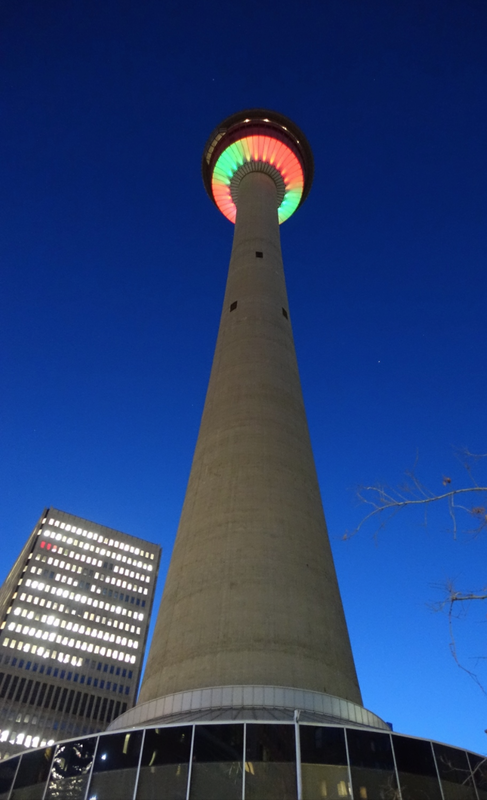 Calgary is a city of hope, where dreams take flight! 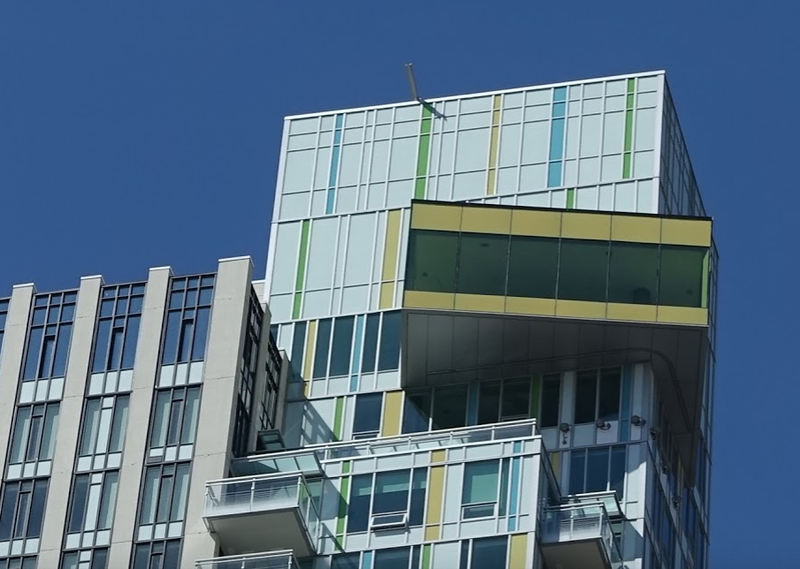 Calgary's best public art are the surrealistic architectural reflections off of our shiny skyscrapers. In fact we love lots of colours! Our group picked beer originally, then talked about the Caesar, (invented in Calgary) and finally settled on Vodka. The rationale - you can drink it straight or mix it with anything. 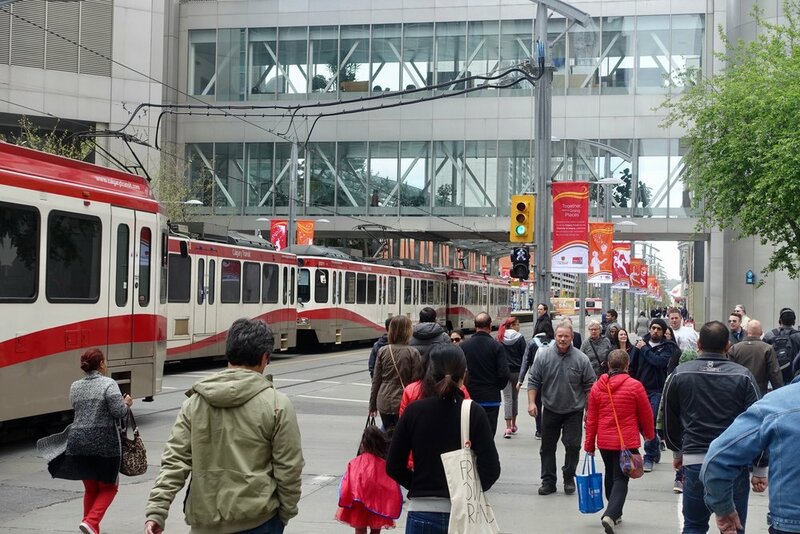 We all immediately grabbed onto the notion that while Calgary is very clean and white, we are Canada’s third most ethnically diverse City, and an interesting mix of Canadians from East Coast, West Coast, Central Canada and the Prairies. 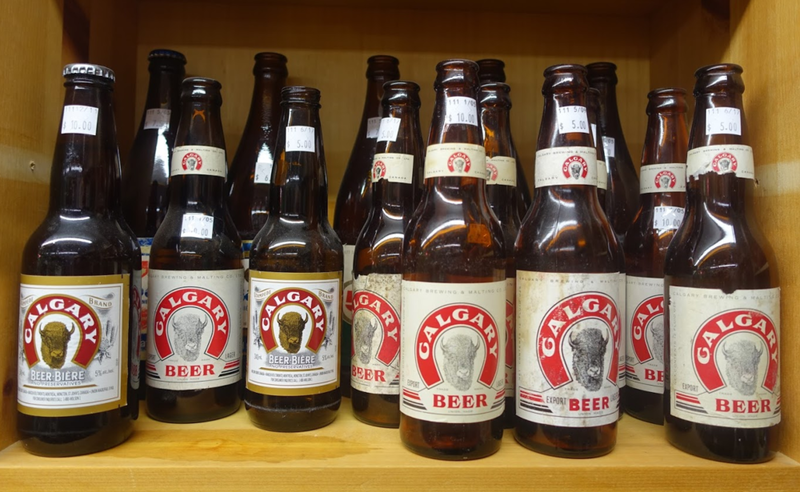 Calgary has long history of craft brewing. We also love a glass or two of vino, even if we can't grow it here. I quickly picked Magpie. Beautiful and exotic upon your first glance, they become very loud and brash the more you see it. As well, magpies are considered to be one of the most intelligent animals in the world; as well they are intensely social with a strong sense of community. I thought this described Calgary to a T.
Overruled, our group ultimately chose “dog,” for it’s friendliness and loyalty, which we all felt were Calgary qualities. One person was even specific, suggesting a herding dog (border collie), as we love to work hard. I have often said that Calgary is the place where Canadians come to “work hard and get ahead.” Someone also pointed out we have some of the best dog parks in the world. Point well taken. The group sitting right behind me actually did pick the Magpie – I think they overheard my pitch and bought it. The third group picked Bison. Though, originally picking the horse, one person in the group pointed out that in a storm, horses run away while bisons charge into the storm, which is what Calgarians do when faced with a challenge. That received applause from the entire room. River Park on a winter day is busy with walkers of all shapes and sizes. Calgarians love to horse-around on Stephen Avenue. This is a great question for Calgary as our city has one of the highest levels of car ownership in the world. 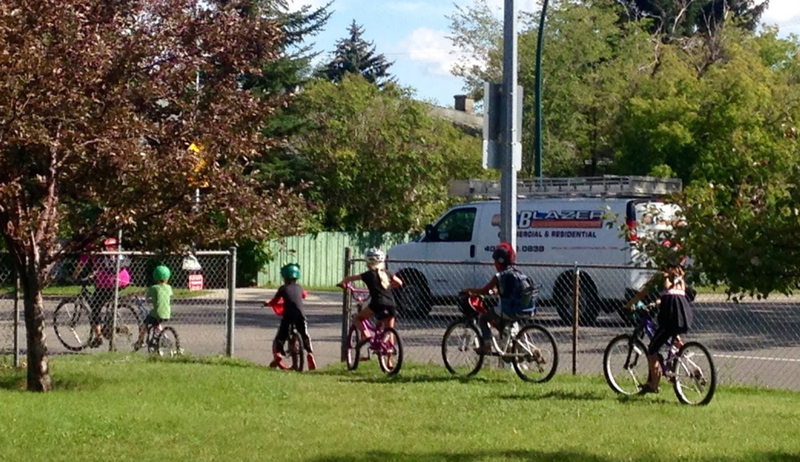 One group chose the SUV, an obvious choice given Calgary’s demographics are dominated by families. A hybrid between a sports car and a sedan, it is a good metaphor for our city that combines fast living with family life. Our group unanimously chose the Ford 150. It is a well known Calgary is the pickup capital of Canada. One members pointed out he knows a billionaire in Calgary who drives a Ford 150. It nicely references our rural roots, our connection with the land and our strong work ethic. 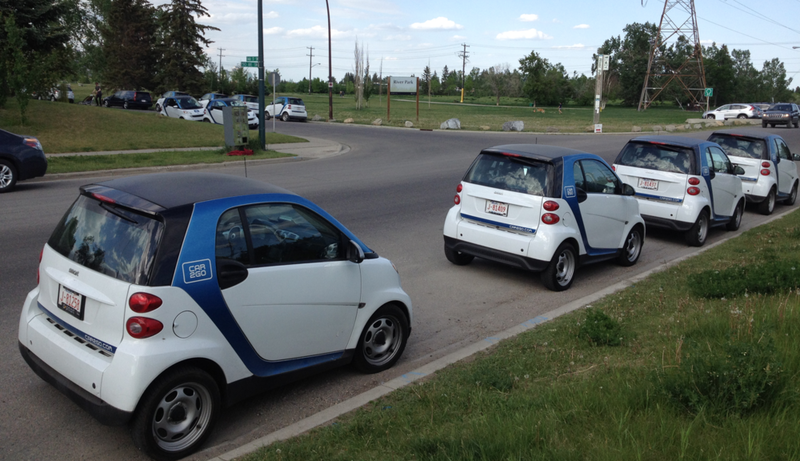 As luck would have it, the group behind me did choose Car2Go – I do think I was in the wrong group! I went to a Ford dealership in Calgary to get a photo and found an entire row of Ford 150 trucks, must have been 50+ including several blue ones. How many Car2Go can you count? 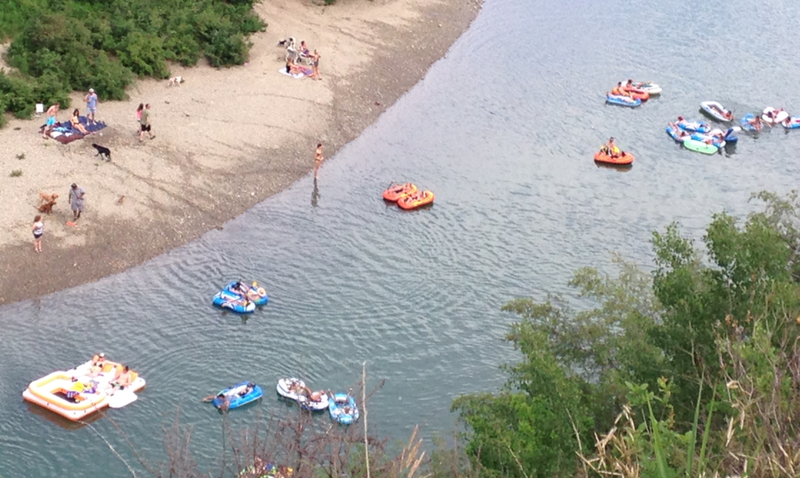 I believe all of them were taking their dog to River Park, one of Calgary's best dog parks. Two groups chose Woody from “Toy Story.” This was too obvious as Woody dresses up like a cowboy but isn’t really a cowboy; how perfect is that. 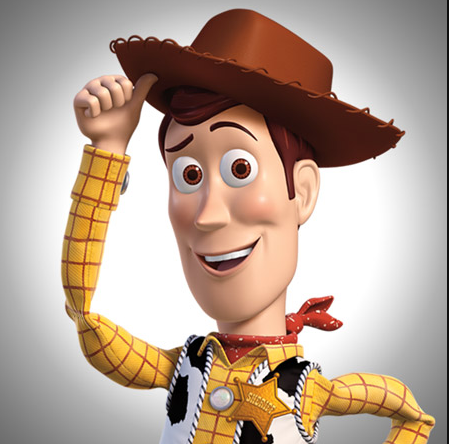 But the references go much deeper - Woody is Andy’s favourite toy and the leader of all of his toys, but his status as the favourite is challenged. 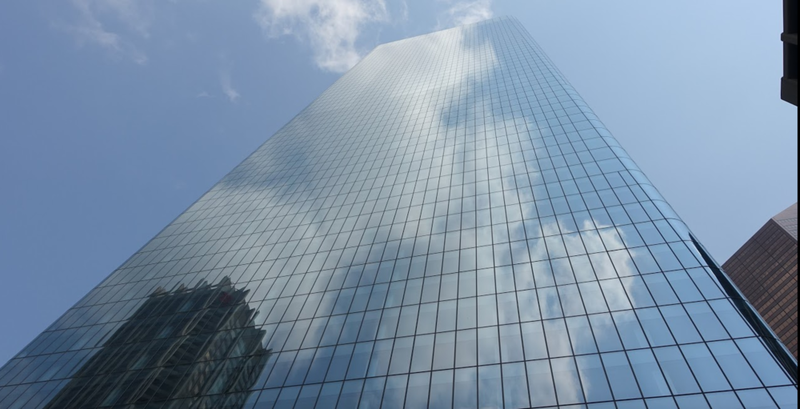 Indeed, for much of the late 20th and early 21st century, Calgary had to fight to be recognized as one of Canada’s leading economic engines, a budding urban playground and the favourite city for Canadians to move to. The other group chose R2D2, however I can’t recall what their rationale was. Perhaps it reflects our position as a high tech, future-oriented city or our love of cosplay. Stampede Park sculpture welcomes everyone to the grounds. Upon reflection, I wonder if Tourism Calgary was soliciting ideas for a fun viral tourist video about Calgary. Tacky cowboy icon on the Red Mile is too much fun. I can see it now. It will have a couple of redneck cowboys in a blue Ford 150 with their border collie in the back, while two cowgirls hop into a Car2Go and suburban family all in Star Wars attire (one as R2D2) jump into their red SUV while a murder of magpies play in the trees. Dancing at Calgary's International Folk Festival is mandatory. Meanwhile, the blue jeaned-attired cowgirls head to Inglewood (passing by the bison at Fort Calgary), to do some shopping and checking out the new exhibition at the Esker Foundation before meeting up with friends for dancing at the Saturday blues jam at the Blues Can hosted by Tim Williams (winner of the International Blues Competition in 2014). The Star Wars family heads to the nearest LRT Park & Ride in their red SUV (with a shot of some public art along the way), then hop on Little Ralph’s Train (on which, to their surprise, a couple of young aspiring singer songwriters are jamming some tunes) to the Stampede Red LRT Station where they become part of tens of thousands of people enjoying the annual Calgary Expo (aka cosplay) with huge posters for Big Rock, Village and Wild Rose breweries in the background. 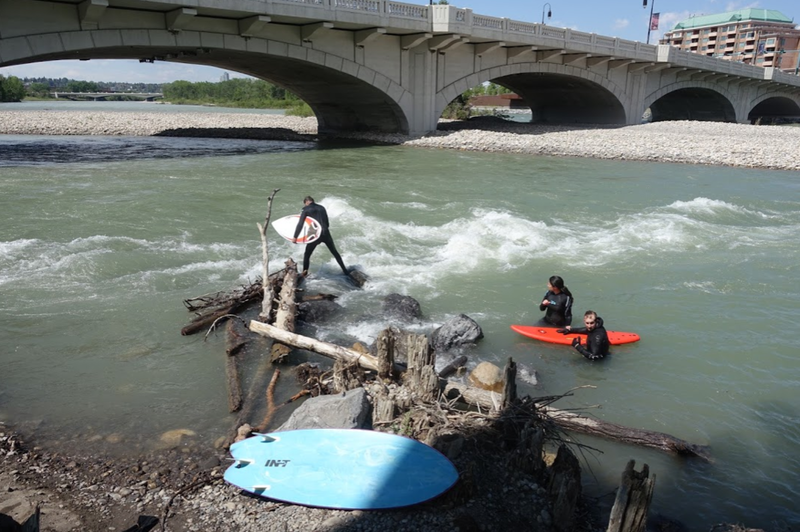 The Bow and Elbow Rivers become urban playgrounds in the summer. Calgary's magical blue at twilight. 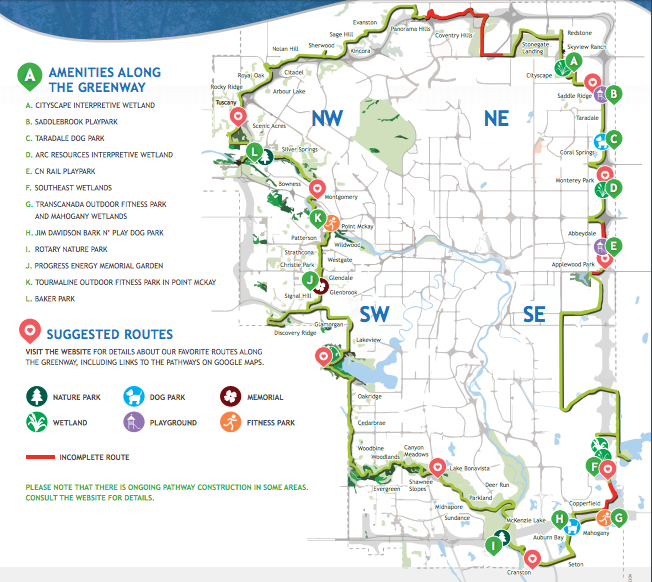 Rationale: We have 5,200+ parks, including two of the largest urban parks in the world (Nose Hill and Fish Creek), two great festival parks (Prince’s Island and Stampede Park), a park-like zoo, great family parks, great dog parks (e.g. St. Patrick’s and Bowness), the world’s longest elevated indoor walkway (+15), 700+km of pathways city wide and new the 133km Greenway that encircles the city. Need I say more? OK - Banff National Park (many tourists already think of Calgary as the gateway to Banff), Kananaskis and Dinosaur Provincial Parks are a few just hours away. Who wouldn’t want to visit the City of Park & Pathways? Who wouldn’t want to move to the City of Parks & Pathways for a job? Works for both tourism and economic development, don’t you think? Do I have a seconder? 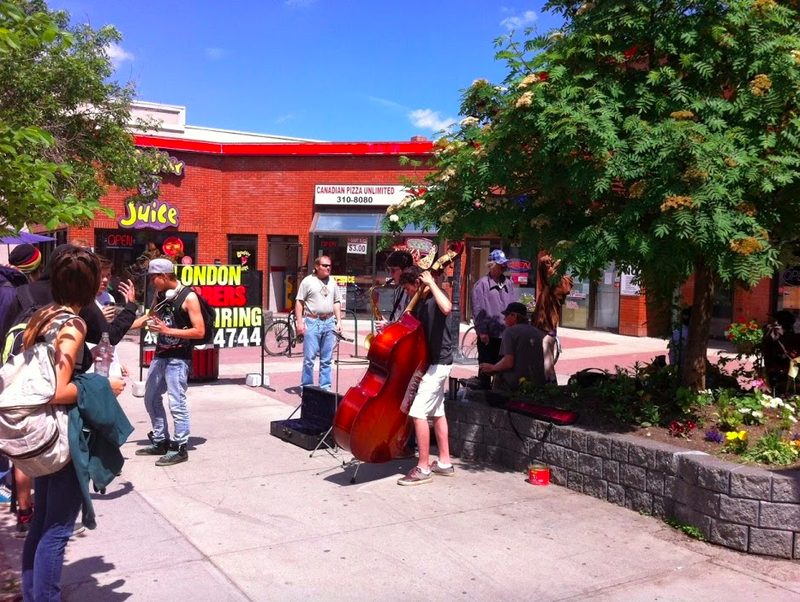 I love how you weave photos of all the awesomeness in our city into your post!